Many people feel that sometimes the old ways work best. This entry was posted in Author, humor, immigration, photography, writing and tagged author, humor, immigration, photography, Writing. Bookmark the permalink. The Spanish didn’t want anyone coming along to steal their slaves. Who would cut the sugar? AND the damned English drank, gulp, TEA. Eee gad! 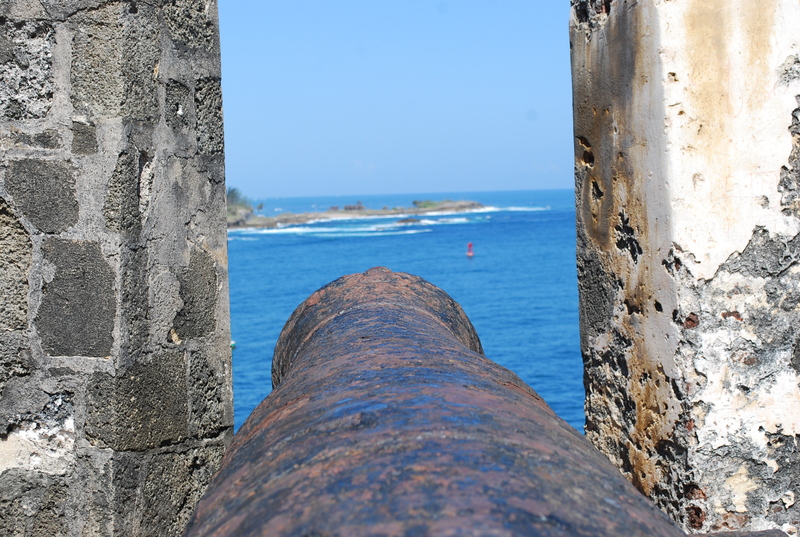 I love the old forts with the various cannon. I blame Patrick O’Brian. And Dewey Lambdin and Arthur Kent and others. Thank God they had Marines to dance with. You know, Mark, you might enjoy my novel Hawser. It’s about a B-17 bombardier in 1943. I’d be happy to send you an ebook.. drop me a line at jhardycarroll at gmail if you’re interested. I have mobi, pdf and epub available. Let me know! You bet I would. I have a Kindle app on my Macbook but you can e-mail the PDF to: retiredlawman@comcast.net. Thanks! One of the first short stories I wrote was in 7th grade and was about a WWII bomber pilot shot down in France!